Sometimes the best solution to a complex problem is the simplest one. That's the approach that the Capillary Structures for Exploration Life Support (Capillary Structures) team took when designing the fluid physics investigation aboard the International Space Station. 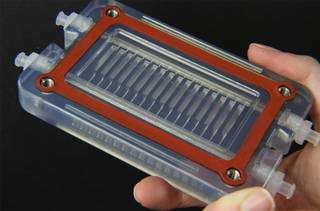 The Capillary Structures investigation uses capillary action, or the ability for a liquid to flow through a narrow spaces, such as small tubes, to move liquids and gases in microgravity, a task that can't be tested in Earth's gravity environment. Life-support technology aboard any spacecraft is vitally important, especially as crews move farther away from Earth and into deep space. Many life support systems function differently in the space station's microgravity environment than they would on Earth, including the way that liquids collect on and move across surfaces. Currently, the life-support systems aboard the space station require special equipment to separate liquids and gases. This technology utilizes rotating and moving parts that, if broken or otherwise compromised, could cause contamination and/or system failure. 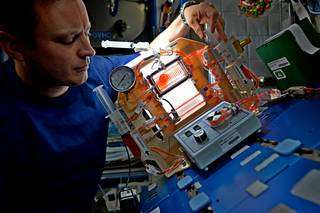 The Capillary Structures investigation studies a new method of water recycling and carbon dioxide removal using structures designed in specific shapes to manage fluid and gas mixtures in microgravity. As opposed to the expensive, machine-based processes currently in use aboard the station, the Capillary Structures equipment is made up of small, 3-D printed geometric shapes of varying sizes that clip into place. The impact of this research could benefit those on Earth as well. Research gathered during this investigation will teach us about using geometry to optimize evaporation, more efficient water recovery systems, passive purification methods, other water processing approaches on Earth. The first of this two-part investigation focuses on evaporation, a process that is specifically influenced by gravity and one that isn't obvious in the microgravity environment of space. "If you could do controllable evaporation in space, you could do all kinds of things" said Mark Weislogel, one of the project's principal investigators. "You could evaporate urine and recover all of the water. All of it. If you had a way of holding the liquid in a passive, no-moving-parts way like a puddle does on earth, but in space, then you could do a lot of unique processing, safely and with no maintenance." Crew members will fill each structure as research teams on the ground observe the behavior of the liquids over a few days via time lapse photography. Results from the investigation could lead to the development of new processes that are simple, trustworthy, and highly reliable in the case of an electrical failure or other mechanical system malfunction. "We're going to be getting detailed information about how the liquid evaporates out of the structures," said Kyle Viestenz, co-investigator for the project. "The structures are set up to have different geometries, different angles, different heights, all these different parameters that we are varying across these structures to get quantitative data of evaporation in low gravity." The second part of the investigation demonstrates the use of fluids in a carbon dioxide removal system, called the Carbon Dioxide Liquid Sorbent System. This system uses a network of "water falls" to bring a liquid sorbent, or a material used to absorb gases, into contact with air, allowing the carbon dioxide to be carried away by the liquid. Of course, in a microgravity environment, the liquid does not "fall," but is driven by surface tension forces generated passively by the unique surface geometry of the capillary structures. 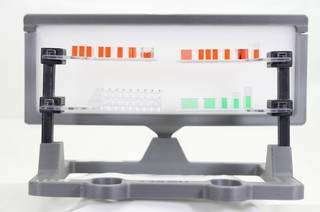 Also comprised of 3-D printed capillary structures, this portion of the investigation is optimized for liquids to flow through the structures, rather than to simply evaporate. "One of the things needed to scrub the carbon dioxide out of the air would be to split the fluid into multiple channels to achieve high surface area for the reaction," said Viestenz. "In this investigation, we are going to be splitting the flow into multiple parallel open passages and recollecting them again—something that hasn't been done before and will go a long way in demonstrating this kind of technology. The results are broadly applicable to liquid fuels, propellants, and coolants as well as myriad passive water management operations for life support"